The nolarola is an effective, easy-to-use aid for the therapeutic relief of muscle spasms, general muscle pain, myofascial pain, and for general back and neck pain caused by tension, stress and strain. The nolarola is used by physical and occupational therapists, massage therapists, physicians, and chiropractors in rehabilitation clinics and wellness centers for myofascial release, soft tissue mobilization and trigger point therapy. You can use it in the privacy of your home, office, or workplace when you need it. "Painful stress points in the muscles can be discovered by rolling the nolarola over the affected areas. By simply applying pressure with the roller, the site needing therapeutic massage can be found and treated simultaneously. This procedure is simple, easy and effective. My patients use the nolarola at the Smolen Clinic and also use it at home to relive muscle aches and pains." 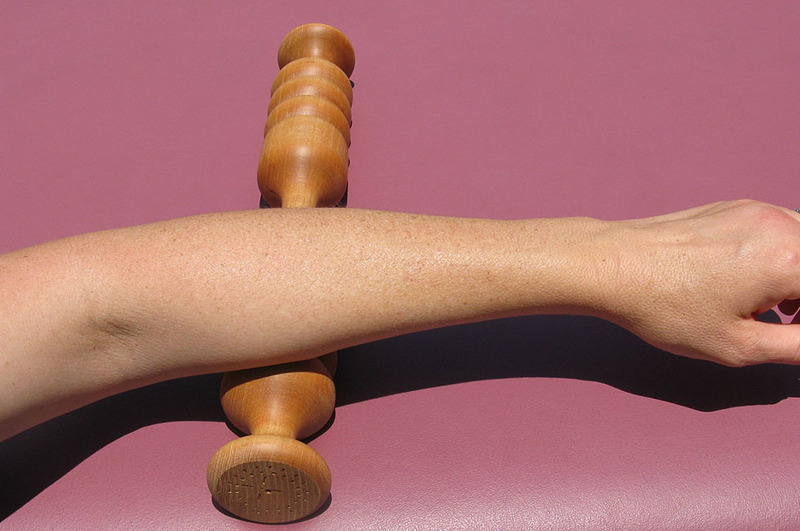 "The nolarola is a versatile tool to aid in relieving discomfort from muscle induced imbalances. It is an effective treatment for spasms, trigger points, myofascial pain, and general muscular tension. The nolarola is a natural self-contained unit, beautiful in form and simple to use. When utilized properly, iti s a safe treatment to relieve the nagging aches of day-to-day living." "We have been using the nolarola with consistent success combined with Myofascial Release for relief of pain and decrease in spasm and stress. We use the nolarola prior to Mysofascial Release treatment and have found it to be an excellent self-help tool for home use as well."